Philip Avery Lippard, 80 of Newbern, Tennessee died on Tuesday, September 11, 2018, at his residence in Newbern, Tennessee. Born Saturday, May 28, 1938 in Dyersburg, Tennessee. He was the owner of Lippard Construction Company. Graveside services for Mr. Lippard will be 10:00 AM on Wednesday, September 12, 2018 at Elbridge Cemetery. Friends are asked to gather at the cemetery. He is survived by his wife of sixty years, Martha Alice Henderson Lippard of Newbern, Tennessee; four sons, Philip Alton Lippard, Gregory Allen Lippard, Eugene Avery Lippard and Steven Andrew Lippard all of Newbern, Tennessee; two daughters, Grace Yvonne Lippard of Newbern, Tennessee and Jean Adair Reason of Dyersburg, Tennessee; one brother, Bill Lippard, Sr. of Chattanooga, Tennessee; two sisters, Devona Malcolm of Myrtle Beach, South Carolina and Jane Sines of Chattanooga, Tennessee. He was preceded in death by his mother, Maurine Roddy Lippard; one brother, Royce Lippard and two sisters, Evelyn Flowers Spencer and Benita Sampson..
Online condolences may be made to the family at johnsonwilliamsfuneralhome.com. 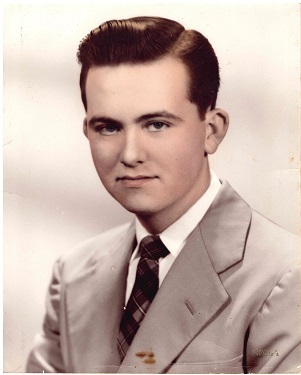 Johnson-Williams Funeral Home is honored to serve the family of Philip Avery Lippard.